Mobile payment seems to be the hottest eCommerce category now. Google, PayPal and Square have massive mobile payment initiatives, along with many innovative start-ups like Dwolla. At SXSW, major mobile and credit card companies (AT&T, Verizon, Visa, MasterCard etc) just announced the Isis Mobile Wallet two days ago. However, as a consumer, I don’t understand 'what’s in it for me'. The geek dream is to eliminate the 2-3 credit cards from your wallet and probably 10-seconds faster check-out. However, it’ll be 3 years (if not more) before every store I visit will work with my smartphone payment solution, which means I still have to carry these cards, even before we discuss if NFC is realistic or the inevitable privacy/ security concerns. Sure – it feels cool to walk into Starbucks and brandish (or tap) your phone to pay, but is that a real benefit? Moreover, the space is extremely competitive and fraught with deep conflicting self-interests. On the other hand, carrying plastic loyalty cards is a real problem today and relatively far easier to solve. I have 15-20 plastic loyalty store cards, out of which I probably use 5-6 frequently. It’s annoying to carry all of them. If I decide to leave any of them home, miraculously I end up having to go to that store the same day! And to redeem any mail offer, retailers insist on carrying both the loyalty card and the paper coupon. Loyalty is critical for repeat business (customer lifetime value) and hence, store profitability. Groupon has built a great customer acquisition tool that still offers no guarantees of repeat business, while even a marginally effective loyalty program can sway customers to choose store/ restaurant A over B. (Great article explaining why - ~20% of loyal customers account for ~80% of brand sales). Hence, I am curious to find any mobile app that promises to solve this problem. 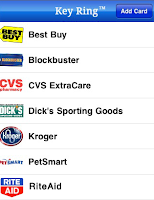 I am not interested in the deals/ check-in apps (e.g., ShopKick, Foursquare etc), but want an app that reduces the plastic loyalty/ punch card clutter and also help me get the best offers at my favorite stores easily (without the ‘oh s**t’ feeling for having missed the discount after purchase). For every store loyalty program I transfer to mobile successfully, I can throw away one plastic card immediately and even go paperless (sustainability!) without waiting for all the stores adopting that application. I have downloaded and played with many loyalty apps. All of them let you scan your plastic loyalty card and save it on your phone as a barcode/ image. 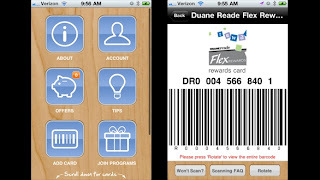 It also works with some stores to send mobile offers or coupons to your phone. I like KeyRing App the most, as it’s extremely simple (detailed review) Another app is CardStar. They are never perfect, as scanners are not always designed to read from a smartphone (e.g., Mountain View Public Library). It could also be awkward - the PF Chang's waiter had to take my phone with the barcode image to give the discount. Never a good feeling to see your iPhone disappear into the kitchen! Integration with the retailer CRM system to correlate the loyalty data with the existing user profile & demographic information. I am not talking about social network integration, as it’s unclear to me why P&G expects me to tweet every Tide purchase at Costco. Purchase history at line item level detail is the crown jewel data, but often buried in POS or order management systems. It is incredibly valuable combined with loyalty program data to determine my brand preferences, actual spend habits etc. Big Data analytics is where all the data above come to life producing relevant and targeted offers for me. I read stories about how retailers know all my secrets, but I have never seen a single major retailer (except Amazon) have any clue about what I like nor stop bombarding with me all the irrelevant mail promotions that usually go straight to recycling. 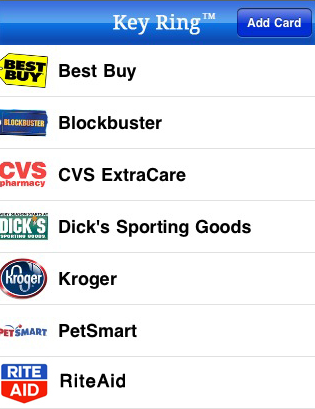 An aggregator/ consolidator app that works with most retailers & brands. I cannot download and manage 20+ brand mobile apps. As I wrote in an earlier post (on real-time inventory feeds), connecting the new mobile app world and the ‘old’ enterprise system world is critical to drive value for consumers, as offline and online commerce are rapidly merging. Loyalty management is another great example. Do you think mobile loyalty could be more useful than mobile payment? Absolutely agree. The bright future is around an intelligent wallet not an electronic wallet (and as Kaj vd L. comments - "what's the point in calling it a mobile wallet - aren't all usable wallets mobile?"). Simply providing the ability and security to electronically store your cards, or worse, providing an app for each of your card vendors, isn't compelling. I preload my cards into my leather wallet based on what I remember. A phone with as much power and storage as a 80s mainframe, should be able to do a better job of correlating offers, loyalty and preferences at the time of purchase. All wallets are mobile - true, I hadn't thought about that! How about Smart Wallet? Agree that a phone, which is practically a minicomputer as you say say, should be able to solve some problems I have today instead of the vague promise to replace credit cards at some distant future.